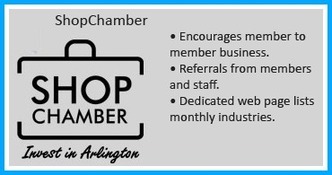 The Arlington Chamber of Commerce is a 501(c)6 voluntary membership organization of approximately 750 businesses. Businesses and nonprofits primarily join the Chamber for networking and business development, community engagement, educational opportunities, marketing, and to influence the voice of the business community through government affairs and advocacy. The Chamber’s efforts are focused on business-to-business and business-to-community opportunities. We host more than 100 events a year, connect business leaders to the community through our various committees, and much more. The vision of the Arlington Chamber of Commerce is to be the essential partner for business success. "The Arlington Chamber of Commerce is the timely, relevant, and authoritative voice of the Arlington business community. A healthy business climate is essential, and the Chamber works every day of the year to achieve that. Every business in Arlington should belong to the Chamber."